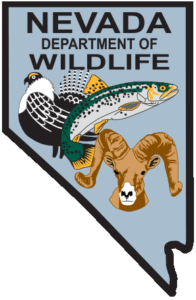 Nevada Bison and Buffalo Hunts | Bow & Rifle Hunting. If you're a Nevada big game hunter with any amount of experience under your belt, you've probably spent some of your time trying to find out where you can hunt a buffalo. Unfortunately, if you've spent your time looking for public herds you can hunt, you're going to be disappointed. Nevada does not offer buffalo tags and does not have any public bison or buffalo herds in the state. If you've thought about turning to private herds instead of public offerings, you'll also be disappointed. At this time, no private buffalo herds exist in Nevada, which means that any hunter that is serious about the chance to hunt a bison is going to have to look out of state. Although some states do offer nonresident hunters the chance to apply for a buffalo tag, many of them do not, and the chances of having your buffalo tag drawn in the states that do offer them is slim at best. If you'd rather not have your chance of ever hunting a buffalo go from a real possibility to almost nonexistent, the answer is to look outside of Nevada and away from public buffalo herds. At Hi Mountain Bison & Buffalo Hunts, Nevada buffalo hunters can find exactly what they're looking for from a bison outfitter. With a herd of over 70 head of buffalo, you'll be able to pick exactly the size of animal you want to hunt, whether that's a bull, a yearling, or a cow. You can also plan and reserve your hunt during whatever time of year works best for you, with reservations accepted year round. While there are a few private buffalo herds available in other states, the cost of travelling to them could certainly be better spent on other things, like the chance to harvest a larger animal. In addition, Hi Mountain's close proximity to Nevada means that you won't have to take as much time away from your home, work, and family to travel, unless you want to. If you're ready to have the chance to hunt a buffalo, one of the largest and most exciting big game animals, we encourage you to get in contact with us and see if we can help you find what you're looking for. You're also welcome to browse our gallery to get an idea of what other hunters have experienced during their hunts.